This course provides participants with the knowledge and skills necessary to effectively teach asana, pranayama and basic meditation. But it doesn’t stop there. This is a comprehensive program that dives into the full range of yoga practice including its ancient traditions and spirituality. During this course, you will explore cultural, philosophical, scientific, cosmological and mythological roots of yoga and gain insight into the origins and deeper meanings behind yogic practices. This course is designed as a yoga lab where you will experience the four paths of yoga, develop a personal sadhana practice, consider philosophical concepts in your day to day life, and participate in discussions that encourage mindful reflection on yogic observances. The goal of this multi-layered training experience is to enrich, inform, and inspire your teaching and personal practice for years to come. Knowledge gained in this training will distinguish you among yoga teachers, and can lead to many unexpected and exciting new adventures. Yoga teachers often experience a significant information gap when it comes to guiding pregnant women in regular classes. If you teach yoga to the general population, you need a basic understanding of the anatomy and physiology of pregnancy to provide safe and confident instruction. This workshop, offered under BirthDevi Maternity Services, LLC, is designed to help yoga teachers (and trainees) to become more familiar with the basics of pregnancy and the unique needs of pregnant women in every trimester. This Prenatal Yoga Teacher Training is transformational and will ignite a deep passion for this work. 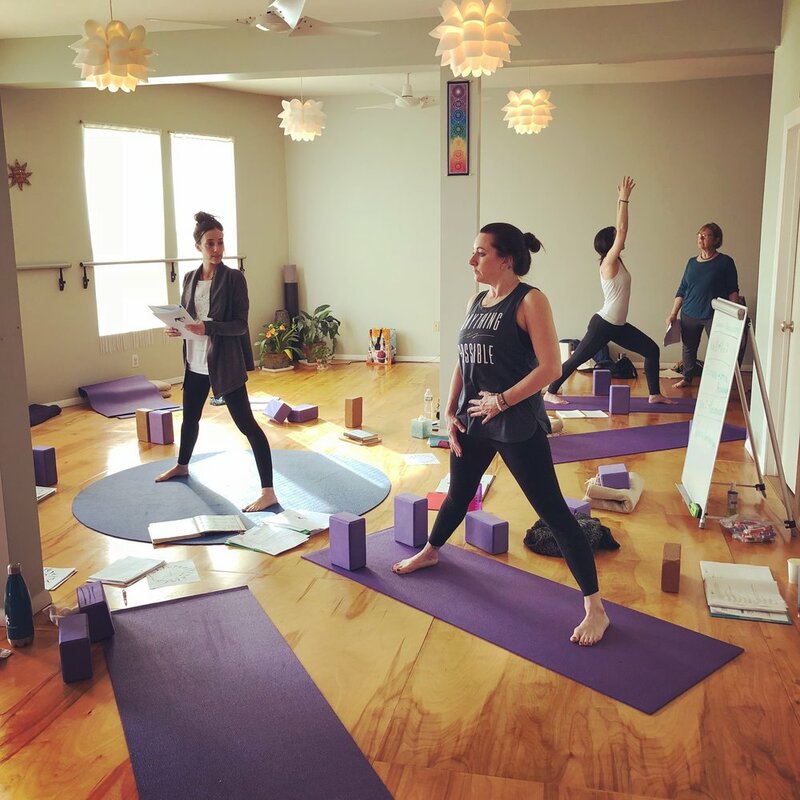 This training offers a well-rounded course that will fully prepare you to confidently teach a safe, mindful and beneficial prenatal yoga class and will open many doors for expanding your skill base. If you've been searching for a comprehensive prenatal yoga teacher training, look no further! We have over a decade of experience training prenatal yoga teachers, and over 13 years of experience teaching prenatal yoga, mentoring doulas, supporting births and preparing expecting couples for the journey of labor and parenthood.